Private tutors and home teachers in Togo offer courses in 500+ areas of study and in-depth training in school subjects, academic disciplines, science, music, sports etc. By selecting your state in the drop-down list below, you will be directed to your state \ privince \ region main page. What is this tutor website for? All Togo regions are in the Select State List above. Looking for a private tutor job in Togo? Willing to teach clients from all over the world? Providing one-on-one or small group tuition services? Teaching online? If you live in Togo and think that you can make a good private teacher, then we invite you to register with our website. 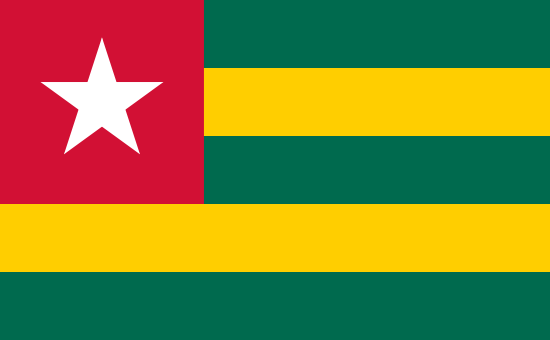 For all Togo states, find the Select State List above. Private tutors don't have to stick to the curriculum. They can teach a unique course of mixed or closely related subjects adding understanding in a combination of knowledge areas. Personal teachers don't need to give classes in the classroom or begin lessons on one same weekday, same time. They can add a practical flavour to any theoretical course and vice versa. Whether it is a chemistry course or knitting, a traditional school subject or university course, learners will be taught according to individual plan and schedule. With private tutors there's always flexibility and variety.